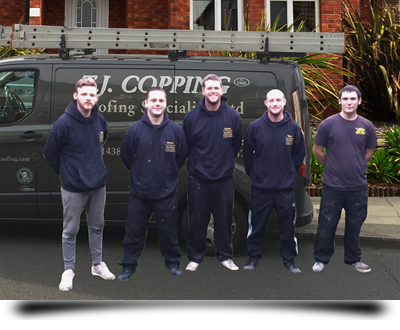 T. J. Copping Ltd Roofing Specialists are a fourth generation family run business. We were established in 1960 and are based in Stevenage, Hertfordshire, formally based in Finchley, North London. Because of our connection to the Finchley area, we still cover all of London, in fact a great deal of our work in London based. We also cover the home counties. All our new tiled, slated, flat roofs and guttering is fully guaranteed for 10 years, and all estimates or quotations are free of charge and with no obligation. We would also like to bring to our customers attention that we are fully insured and are proud to be a trusted member of the Guild of Master Craftsmen and Checkatrade.com. 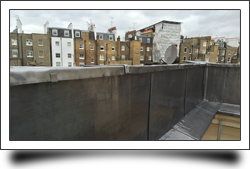 Lead work, Bays, valleys, parapets, flashings and box gutters. Cement work on verges and chimney stacks to neatly finish off any roofing project. Insurance work carried out for when disaster strikes in the way of fallen trees or storms damaging roofs. Any new roof work and repair work you may require. Slating and tiling using the very highest quality roofing materials. 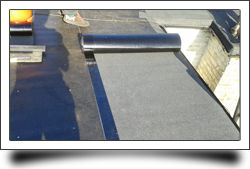 Flat roofs (single ply membrane and high-performance torch-on felt roofs). As mentioned above T. J. Copping Ltd are based in Stevenage, but a great deal of our work is in and around the London area. Being just a few miles up the A1(M), we can be on site in London at very short notice. So no matter what type of roofing project you have in mind, T. J. Copping Ltd Roofing Specialists can take care of you and your roofing requirements. In our book there is no such thing as a roofing project that is too big or too small for us. We will happily provide testimonials from a long list of very satisfied customers for your added peace of mind too. 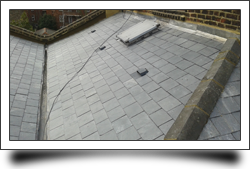 The cost of employing some of the London based roofing firms can be a very expensive route to take. 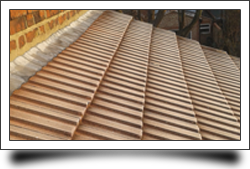 With T. J. Copping Ltd you can rest assured that you will be employing a thoroughly professional, long established and ethical specialist roofing company with a proven track record.